Both Aircel and Airtel have Priced Rs 44,500 for 16 GB iPhone and Rs 50,900 for its higher variant of 32 GB. In USA the same iphone 4S 16 GB and 32 GB are available at Rs 33,740 and Rs 38,940 respectively. iPhone 4S 64 GB is also available priced Rs 57,500. 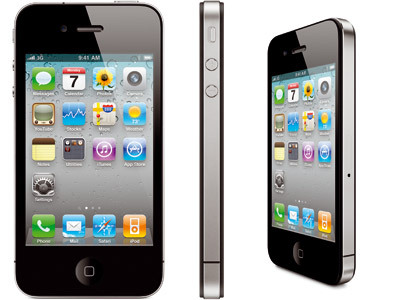 After the demise of Apple's founder Steve Jobs, Apple iPhone 4s is the most talked about phone. iPhone 4S was announced by Apple on October 4, soon after the demise of Jobs. Since 18 November, iPhone 4S has been available for pre-order in India. The phones are distributed by Beetel in India. Airtel and Aircel are offering money back plans through which the customer can recover the cost of the phone in 3 years. Siri is a personal assistant software. it is voice activated. We can just talk to Siri like we talk to any person. siri understands natural language.Not only it understands what we say, it also understands what we mean. It answers like a personal assistant. Siri makes phone calls, sends sms, schedules meetings, set reminders and more. 1 Response to "Apple's iPhone 4S launched in India"